This new Netflix original is a must-watch with your older kiddos. Watching movies and TV with your tween is a great way to open the door to conversations that would otherwise be uncomfortable. The key is finding the right content to watch. Two shows I’ve enjoyed watching with my daughters (10 & 12) on Netflix are Girl Meets World and The Wonder Years. 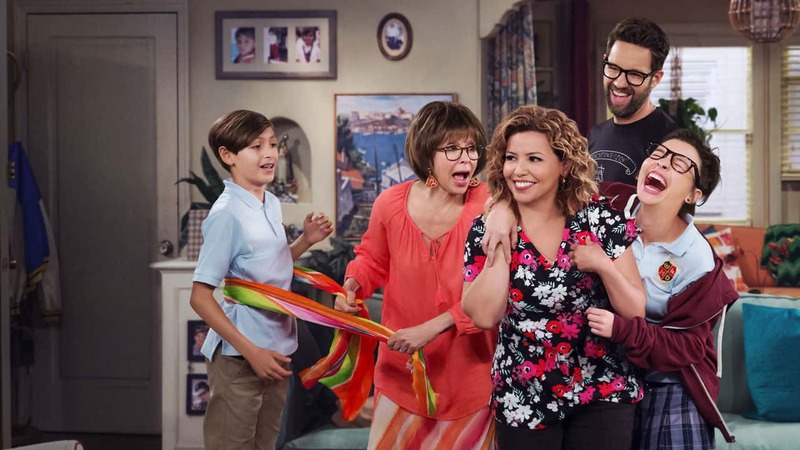 Recently though, the Netflix-original One Day at a Time has caught our attention (8/10 IMBD + 96% Rotten Tomatoes). It is a comedy-drama inspired by the original 1975 series of the same name. Watching this with my twelve-year-old daughter has been an amazing experience. The show style is old-school sitcom. In other words, it covers heavy topics, but at a surface level with quite a few laughs mixed in. Ok, as I write the topic list, even I am a little daunted by the topic intensity. I promise, the show is filled with humor and delicately covers each topic. The episodes are a springboard to open a conversation for you to share YOUR beliefs on these things with your kids. I hope you’ll take the time to check it out. If you’ve already been watching it with your kiddos, I’d love to hear your opinion of the show in the comments! Thanks for the suggestion… I think I’ll try watching with my 11 (almost 12) year old. Thanks for the suggestion! I will definitely be checking it out!